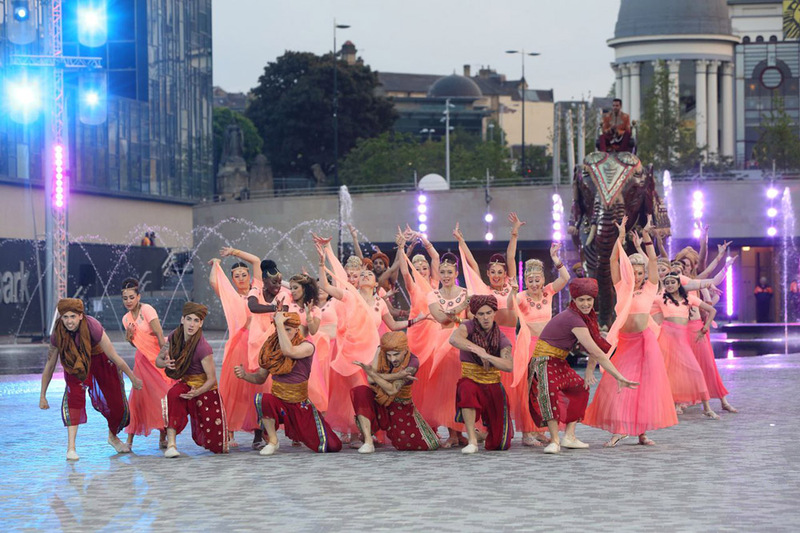 The English city of Bradford and the BBC marked the 100th anniversary of Bollywood in spectacular style by staging an outdoor performance of Carmen - interpreted Bollywood style - in the city’s City Park. Broadcast live on BBC Three, it saw the debut of HARMAN Martin’s Viper Wash DX™ luminaire, which helped to deliver a dazzling spectacle. The performance, on Sunday 9th June, featured a mixture of established Bollywood and English actors and actresses. 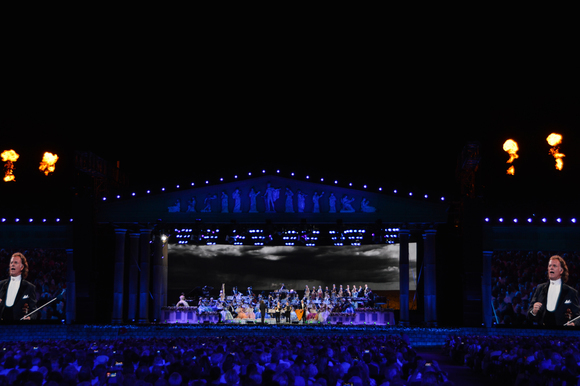 Nick Collier - the only lighting designer to win a BAFTA - worked closely with Stage Electrics production manager Russell Payne to bring the ambitious project to life. Working regularly together on outdoor television productions, it made them the ideal team for the project. “It was a fantastic venue, with fountains and a mirror pool that we knew would look stunning, a beautiful building in Bradford City Hall as a backdrop, the frontage of the magistrates court and other areas of City Park” says Nick. “The main issue was how to light the physical space. It was huge, the same size as the O2 Arena’s lower bowl. We couldn’t put lights any closer than the edge of the Centenary Square fountains, so we needed fixtures that would light all the way in. Nick is a big fan of Martin Professional lighting fixtures and had used MAC Viper Profiles before, so he was very keen to use the new Viper Wash on this production. By nature, Bollywood productions are very bright and colorful with, as Nick says, “lots of yellows, greens, orange and red.” A challenge of the 9 pm start time was that there was a lot of daylight as the show began, only fading to dusk at the climax of the hour-long production. But the high output of the Viper Wash meant that, even at the beginning, there were plenty of intense colors to heighten the atmosphere. With Martin Professional fixtures installed on lamp posts, on the roof of the magistrates court and other existing infrastructure, the logistics of the production were immense - not least having to install over six miles of cabling and working around the tallest city centre fountain in Europe, which projects water up to 100ft. But the Viper Washes delivered exactly what was required - a superb spectacle that looked just as good on television as it did for the large audience in City Park. “The aim was to have lots of color in the large set pieces to contrast with the back alley scenes and so add to the drama,” concludes Nick. 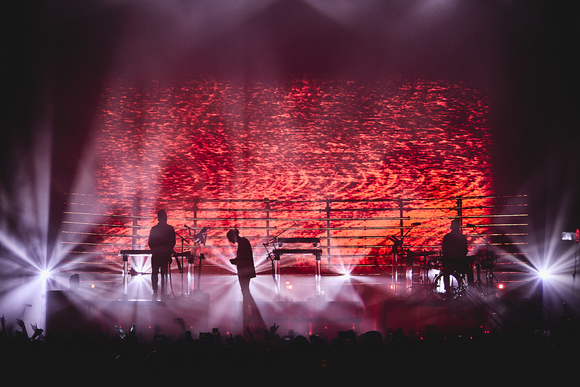 “There is also an added layer of complexity when you are lighting a live show for two audiences - those who are there and those watching on television. But I was very happy with the performance of all the Martin luminaires.